This article was published by Jordan Greer (@Jordan) on September 11th, 2018 in the Gran Turismo Sport category. TheProRacer, Thorin Cain, Marcobzzcs and 18 others like this. This is absolutely fascinating! Great article. Dezcom, Jordan, ProjectF and 3 others like this. matzel, xxy98cn, cleanLX and 14 others like this. This is so promising,if they nail Raytracing for future GT games prepare to be floored by the graphics,GTS already looks amazing but with Raytracing there is alot of improovements to be made. Dezcom, KepleroGT, ProjectF and 5 others like this. I guess it means we’ll not get dynamic time of day in the next GT? Not that I care but I guess they’ll want to build on this rendering engine moving forward. silverman_GT, AgentBlackDog and usmaan like this. I think the reason why PD is so slow making games is because they’re secretly an R&D firm for Sony. xxy98cn, georgetigra, noob133766 and 36 others like this. That is fascinating. We finally know how PD can achieve those almost natural lighting in GTS. It does require a lot of data tbh. And to put all of those in a console is quite impressive. Hopefully future hardware can cope their superb work and effort. Thorin Cain, GT6mebe, TheProRacer and 3 others like this. I'm really impressed by the metal reflection in the ray tracing rendering. Did anyone notice that in ray tracing, the car's body and the instrument panel reflects the parts of the car? TheProRacer, Thorin Cain, DK and 11 others like this. If the PS5 hardware is good it might allow for dynamic time/weather change. georgetigra, KepleroGT and alp like this. For even more realistic screenshots! PD does that with every console they work on,except the PS3 which Kaz himself said it was a bad console to work with and it shows,GT 5 and GT6 didn't look amazing and i'm glad the PS4 is better. I expect great things for the PS5. noob133766, ProjectF, Alpha Cipher and 2 others like this. Nurburgring time trial, from night to day listening to this song was amazing. Dynamic TOD/weather was truly a game changer. Kalder, Jordan, AgentBlackDog and 1 other person like this. When GT4 came around, the game was truly ahead of its time: tons of cars, decent track choice, immersive career mode, photo-mode etc. No one could even come close in terms of gameplay content that the game offered, and Forza was pretty much at the beginning of its cycle. Scaff and Suzumiya like this. They had rorating chase cam back in the early days of closed Beta but they had to removed it because it was wonky and cause so much framerate stuttering. I guess it means we’ll not get dynamic time of day in the next GT? Depends on if the PS5 is capable of real time raytracing Similar to NVidia RTX. If it can then dynamic time of day would be possible with GT sports level of graphical fidelity. If not then Raytracing can still be used to make super realistic looking pre-baked lighting at the expense of dynamic time of day. Great read - its always nice to get some insight into PD wizardry! Its been so long since GTS release, and I still find myself being blown away by the visuals (amongst other elements, of course). Here's hoping the PS5 gets the necessary boost for dynamic conditions. TheProRacer, JoueurGT, ProjectF and 3 others like this. They did that on the PS3 as well. And for that generation, the games looked pretty spectacular. I still remember the first time I watched a replay in GT5 Prologue, it was amazing back then. Thorin Cain, JoueurGT, ProjectF and 6 others like this. PD once again showing how its done. That's some revisionist history. The PS3 games certainly were inconsistent from a graphical perspective, but I'd say that was largely down to PD's decision to use PS2 assets for the majority of the car lineup. The system itself was capable of some pretty incredible visuals at the time: take an LFA around the 'Ring as the sun sets for a great example. Thorin Cain, DK, VXR and 6 others like this. TheProRacer, matzel, JoueurGT and 3 others like this. I'm saying that GT5 and GT6 were inconsistent in the visual department,the stantard/premium system was awful i agree. ...it is doable on PS4 already, well, it wouldn't be dynamic by any means, it would be more of loading different pre-backed textures to models on track and only dynamic thing would be GI. But, FPS would be probably dropping like crazy all over the place. I think they would only put dynamic weather if they could keep the FPS at 60,i keep wondering if rain in GTS is taking so long because they are trying to keep 60 FPS locked. Seeing things like this get the photomode junkie in me all giddy. Although, history seems to show the more graphical prowess they aim for, other area's of the game tend to lack. Hopefully that's not the case in the future. AgentBlackDog, 05XR8, Quakebass and 4 others like this. There is likely a lot of truth in that. 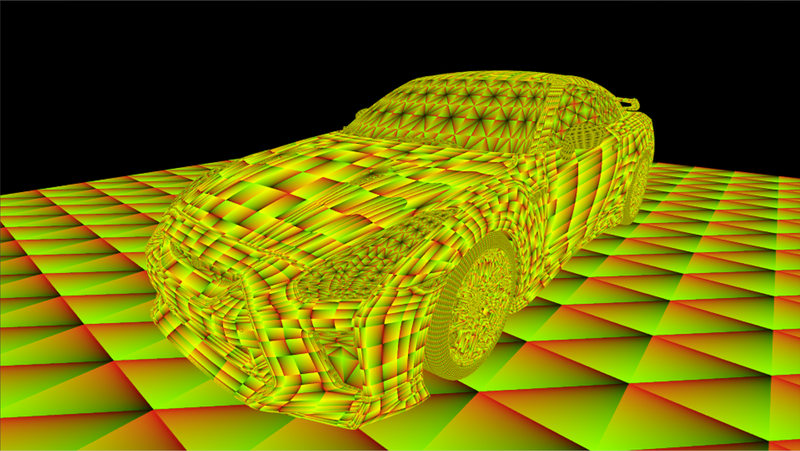 The original Gran Turismo was developed using the Performance Analyser tool Sony created for PS1 developers to see where they could squeeze more performance out of the machine. I think it was the first game to use this. Then there is the pioneering HD work on PS2. VXR, silverman_GT, ProjectF and 5 others like this. Maybe you're not aware but video game developers have different departments with different responsibilities. Backseat production coordinating their efforts comes off as a bit silly when people don't even understand their production workflow. Your complaint is akin to complaining about a community manager wasting their time communicating to the community, instead of "fixing the game". I know these kinds of comments are typical on video game message boards but I'd hope that we'd be beyond posts like this here. Oh well. KepleroGT, kjb, White Mamba and 3 others like this. With consoles moving away from the Jaguar CPU next gen looks promising,a PS5 would definetly handle GTS with rain at 60FPS but by next gen PD will be on full steam for GT7,Kaz already said that the next GT is not a Sport 2. Sergio18, AgentBlackDog, Cerebral303 and 1 other person like this. ...but doesn't it make it even more important to work on gameplay features rather than graphics? That’s the beauty of having a specialised workforce: they’re all working on different aspects of the game. The graphics engineers are not working on the kind of gameplay features you’re asking for, so them spending time on doing a good job does not make the gameplay suffer. Ligthing was always the strong point of GT. But this could be a revolution in GT history if true. Scaff, xxy98cn, silverman_GT and 6 others like this. Bold choice. I still think they have the best lighting in any video game along side Dice's Battlewhatever games. The drawback is a lack of dynamic TOD. I would rather have the best lighting engine, but I'm sure a lot won't agree. Doesn't excuse not having weather mind. xxy98cn, KepleroGT, silverman_GT and 1 other person like this. Depends on if next-gen consoles can handle real-time raytracing. What is in GTSport requires pre-baked data since doing it real-time is considerably taxing. ProjectF, White Mamba, Marcobzzcs and 3 others like this.